Meeting the Romanian fairies can be very dangerous, as we could see in a previous article. These fairies, named „zîna“ or „sînziana“ (names derived from „Sancta Diana“), strike with illness persons who see them dancing of who fail to respect certain interdictions. These maladies are successfully cured by the choreographic and cathartic ritual of a group of dancers, called „călușari“, a name derived from the Romanian term for „Horse“ („cal“). In his book „Occultism, Witchcraft, and Cultural Fashions: Essays in Comparative Religion“, the Romanian historian of religion Mircea Eliade offers some valuable information about the sacred dance of Călușari and about their complex relations with the fairies and their goddess, Diana, also respected by the Călușari. CĂLUȘARI, THEIR WEAPONS AND THE QUEEN OF THE FAIRIES: „All these maladies are successfully cured by the choreographic and cathartic ritual of a group of dancers, who constitute a sort of secret society (Mannerbund) called „călușari“, a name derived from the Romanian for „horse“, cal (˂Lat. caballus). Now, surprisingly enough, the patroness of this secret cathartic society is the „Queen of the Fairies“ (Doamna Zânelor) – the Romanian metamorphosis of Diana. 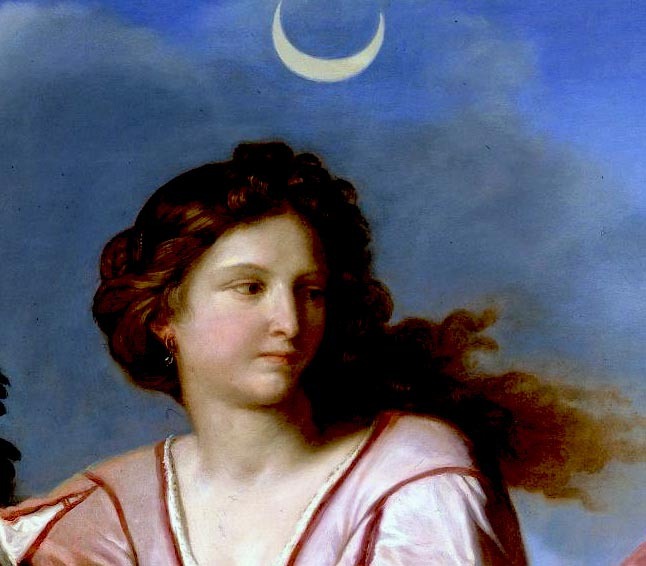 She is also called Irodiada ( = Herodiada) or Arada, both names famous among western European witches. We cannot here enter into details concerning the selection, instruction and initiation by an elder leader of a group of seven, nine or eleven young men. It suffices to say that the instruction is carried out in forests or lonely places and consists mainly in learning a great number of dances, especially acrobatic ones. The călușari are armed with clubs and swords and carry a wooden horse’s head and a „flag“, on which they swear to respect the călușari’s customs and rules, to be like brothers to one another, to observe chastity for the coming nine (or twelve or fourteen) days, not to divulge to any outsider what they will see or hear and to obey the leader. After the oath-taking, the „flag“, with medicinal plants tied to its tip, is hoisted, and the călușari are forbidden to speak, for fear, they say, of being made sick by the zîne“. the călușcari is their acrobatic-choreographic skill, especially their ability to create the impression of flying in the air. It is obvious that springing, leaping, jumping and bounding indicate the galloping of the horse and, at the same time, the flying and the dancing of the fairies (zîne). As a matter of fact, some of those who are supposed to have been made sick by the fairies begin to jump and shout „like the călușari“ and „seem not to touch the earth“. The relations between călușari and zîne are paradoxically ambivalent: the dancers ask for and count on the protection of Herodiada, but they also risk becoming the victims of her troop of attendants, the fairies. The călușari imitate the flying of the zîne, but at the same time they emphasize their solidarity with the horse, a masculine and „heroic“ symbol par excellence. These ambivalent relations are manifest also n thei patterns of behaviour and their activities. for approximately two weeks the călușari visits all the villages and hamlets in the neighbourhood, accompanied by two or three fiddlers, dancing and playing and at times trying to cure the victims of the fairies. It is believed that, during the same period, that is, from the third week after Easter until around Whitsunday, the zîne are flying, singing and dancing, especially by night; one can hear their bells and also the drums and other musical instruments, for the fairies have at their service a number of fiddlers and bagpipers and even a flag-bearer. The most effective protection against the fairies is garlic and mugwort, that is, the same magical-medicinal plants that are in the bag tied atop the flag of the călușari. The călușari chew as much garlic as they can stand and, in the course of a cure, the leader spits garlic on the patient’s face“. THE CHURCH AGAINST THE PAGAN DANCES: „The military, para-Mannerbund elements of the călușari are evident: the flag, the sword, the wooden horse’s head, the clubs. Moreover, if two groups pf călușari meet each other, they engage in a violent fight. Thei flag is solidly fixed in the ground, and one călușar climbs the pole and shouts: „Eat, dear one, war!“. Although the oath-taking is made in the name of God, the mytico-ritual scenario enacted by the călușari has nothing in common with Christianity. We can assume that in early times the ecclesiastical authorities fought against them with some violence, for a number of archaic traits, attested in the seventeenth century, have disappeared. Even as late as the end of the nineteenth century, the călușari were, in some regions, excluded from communion for three years. But finally the Church decided to tolerate them“. 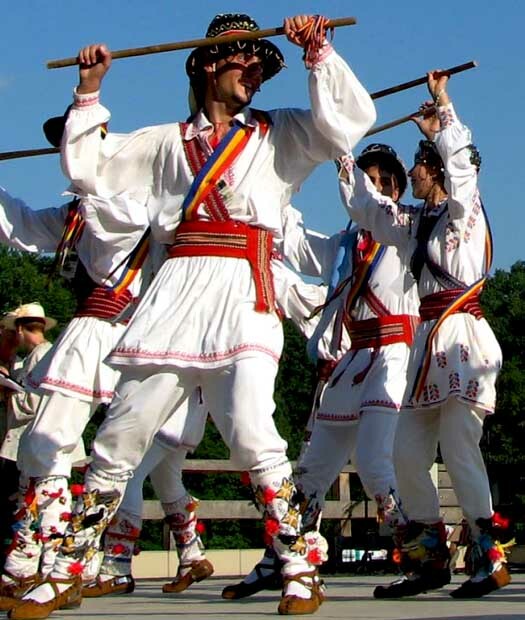 Share the post "Călușari, Romanian Sacred Dancers, and Their Magical Powers"